Host a Yoni Party in your Area! Its time to get reconnected with your wombs ladies. Women are dealing with many reproductive issues and having invasive surgeries to rectify these problems. Yoni Steaming is an ancient art of steaming the vaginal canal with selected herbs to bring about balance and healing in the womb. We will educate you on everything that you'll be experiencing for an amazing perspective on healthy sexuality. 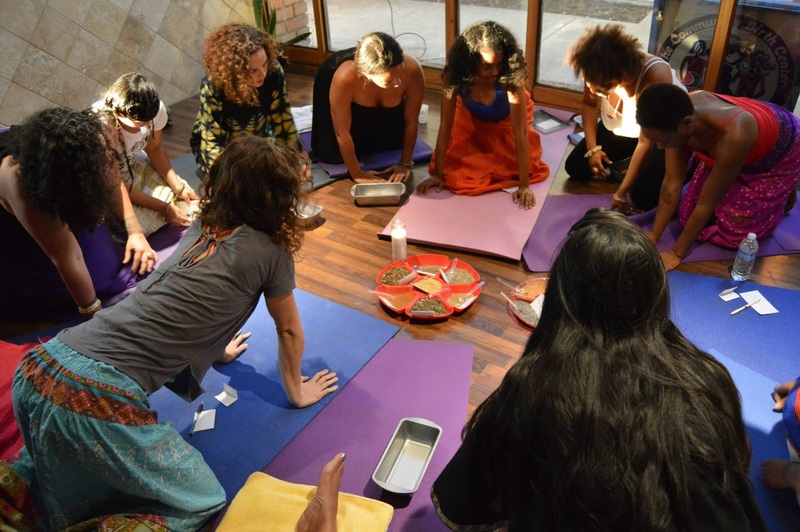 A Yoni steam is a modern version of ancient vaginal steaming traditions that send herbal infusions into the vaginal canal via warm steams. It is a form of hydrotherapy and is a cleansing bath for our most treasured and sacred womb. Enjoy herbal teas, wine and snacks with like minded women! What to Bring:Please wear a long, loose, comfortable dress and bring a towel or blanket to wrap yourself in. Contact Ashiadarby@gmail.com or call 866-529-9422 to learn how to host one in your area! Click here to pay your Yoni Party registration. Fill out the registration form below upon completion of payment.